Do you want to clear your emotional baggage? Ever feel you are struggling & can’t quite put your finger on? Do you have emotional issues, but don’t know how to get past them? The Emotion Code is the latest form of energy healing created by Dr. Bradley Nelson using muscle-testing to determine which negative emotions are trapped in your body, and then releasing each trapped emotion one at a time. It is the simplest, easiest, and fastest method of finding and releasing emotional baggage by using muscle-testing. The Emotion Code is a way of uncovering the underlying emotions behind any emotional or physical condition, and then clearing it easily on an energetic level without needing to go into the drama or story. It’s simple, clean, safe and effective. Take your life back! Enjoy better health and finally be free from the mysterious forces that trapped emotions are having on your body, mind and soul. Your emotional baggage consists of energies of intense emotional events that you’ve experienced, that get trapped in your physical body. These energies distort the normal energy healing field of the body, creating pain, malfunction and disease. In addition, trapped emotions can be the driving force behind Post-Traumatic Stress Disorder (PTSD), depression, anxiety, phobias and mental illnesses. Trapped emotions can affect you physically just as much as mentally and emotionally, causing physical illnesses, emotional difficulties and self-sabotage. 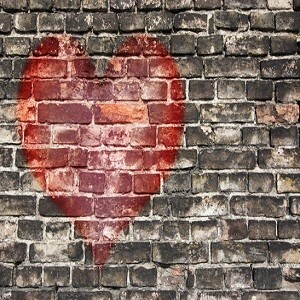 A Heart Wall is a symbolic wall made up of trapped emotions by your subconscious. Having a Heart Wall can block you in many ways and prevent energy healing. It blocks you in your ability to give and receive love freely, and it will create depression, anxiety and self-sabotage. Because it blocks your creative abilities, it could also block you from success. 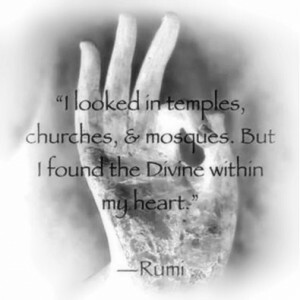 Open your heart to feel free, happy and abundant! You’ve probably heard it said that time heals all wounds, but this is not necessarily true. You may think you have let go of all your emotional pain from prior relationships, and maybe you’ve had therapy to deal with it. It may seem like it’s all behind you now, but your body can literally be inhabited by the invisible energies of old emotions. These are wounds that time alone cannot and will not heal. They can cause you to act and feel differently in your current relationships and may even cause you to sabotage them. When a trapped emotion is released with energy healing, a burden is literally lifted. 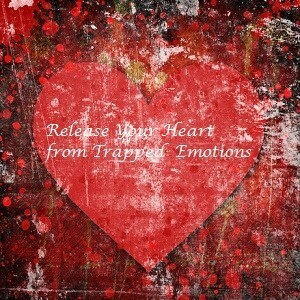 In fact, people often experience a feeling of lightness upon the release of a trapped emotion. Are YOU ready to change your life with The Emotion Code! "I highly recommend Zazeh... She is amazing!" "After clearing my heart wall, I can’t explain how much better I feel." Foundation Set; Clearing a Heart Wall! I wanted to say thank you for the work you’ve done with me in clearing my heart wall. I came to you right at the beginning of an emotional crisis, so I did find myself much more emotional during the weeks that the clearing was taking place but I was expecting that could be the case. Clearing my heart wall has made me feel much lighter emotionally and I believe my emotional healing from this situation was a lot quicker and has had much better results from the whole situation than expected. As you mentioned to me, sometimes there is a lag time in some of the feelings being shifted & therefore results but knew it was from the work I did with you. I believe I am valuing myself more and therefore making different decisions because of that. I also believe I am attracting different things because of my clearer energy projecting differently. Having shared this with other friends who have had their heart wall cleared they said they have felt that same emotional lightness & clarity etc as well. For anyone thinking about doing this, unless you have an urgent and specific body issue to clear, I personally suggest start with clearing the heart wall and then take it from there. Now that my heart wall is clear I feel like the foundation had been set and I am looking forward to having more sessions to clear up specific body & other issues. Oscar is undoubtedly a forced to be reckoned with, he is absolutely cute, very (very) affectionate and rules our house with fur, purrs and endless meows. Once, maybe twice in a lifetime an animal comes along that you bond so strongly with you don't know how you would never survive without them. A flee bitten, mite infected and worm laden street urchin was one such animal. Only problem is, Oscar also can live without ME! Oscar separation anxiety is manageable day by day, but holidays are a completely different story. We could never let him see the suitcases and when we did he would turn on us, sitting in MY suitcase and growling, toileting where he shouldn't and even getting himself so work up he would start vomiting. Most packing evenings would result with Oscar sitting on MY suitcase meowing all night. We tried buying new luggage and even swapping our cases over without success. We also try getting the suitcases out several weeks before our departure date in the hope that he would become used to the suitcases and less anxious about us going away, but this only made matters worse - so much so that in the week before we left he had stopped eating completely for four days. 6 months later we packed our bags with Oscar looking on with mild interest, not growling no howling or toilet mishaps....just one happy chilled cat. Thank you! Where do I start to thank you!! You have been amazing right from the first conversation before even my first appointment. Your works comes from your heart and it shows! You have not only healed me but my family that I am connected too and for that I will be forever grateful for. I wish you nothing but success in all your future endeavours and will recommend you to everyone! I hope that everyone you come across in life is open to the work you do and is as blessed as I have been to have you work on them. Sending you love and light!! Thank you so much for clearing my heart wall that REALLY needed a good sweep! Your friendly service with a smile and your knowledge in the Emotion Code put me at ease which in turn my body welcomed the clearing of trapped emotions. It was an emotional rocky road along the way but each day I'm feeling lighter and more in control of my emotions, thoughts and life direction. I see life situations a lot clearer now and I feel I have grown up to be the person I am meant to be - at 52 years of age! Just goes to show it's never too late! I could not even smile or laugh. I knew I was emotionally blocked and I felt very detached from the world. I had not been able to cry since the death of my son Jonathon (at 6 months) which was 26 years ago! I originally met Zazeh 40 years ago when I was a little girl and fate bought us to meeting up again. It’s strange how things are meant to be! Zazeh noticed I was quite “sad” and this made me curious in what she did. I took her details and was drawn to what she did so I made the plunge to call her. Zazeh explained the Emotion Code and for me it seemed like the perfect way to go so I opted for her Heart Wall Release package. After each session I could physically “feel” the emotions that were being released! Zazeh pinpointed exact dates, event and emotions that happened in my life (which she knew nothing of) – it was amazing! Through the process I started feeling more at ease and feeling much healthier in all aspects of my life. Emotionally, now, I am able to handle thing better. I am now eating better and have my appetite back (which I had lost as well as unwelcome weight loss). My aches and pains and inflammation have disappeared and my hand shakes have subsided. I feel a little bit more focused and know I still have a way to go. I look forward to more emotion and body code work to bring me to my ultimate ME! I always felt like my efforts were unreceived and that I wasn't appreciated. Since working with you, I am now starting to feel a lot better now about that. I am also feeling a lot more loved and noticed as well as feeling needed by others. Zazeh did the emotion code on me about a year ago. At the time I was having a problem with my knee and on that day I had a headache. To my amazement, by the time I left, my headache was gone and my knee was less painful and has been pain free ever since. Previously, whenever my parents would do something to upset me, all my energy was used on developing an emotional dis-attachment from them, in order to avoid being ‘fooled’, or feeling betrayed. I was ONLY able to focus on my anger towards them, as there was no other available feeling in my head that could deal with how they treated me. Now, I am able to find the room in my head to justify their behaviour. I have the capability to forgive them even after doing extremely harsh things. Prior to this, I didn’t have that ‘switch’ that could turn off the hatred that used to help me cope with the hurt they caused me, but now it’s something I do naturally. I honestly thought there was nothing in the world that could ever make me forgive them, and I know for a fact that even some of the most intelligent people, who could have been in my situation, could very well go through their entire lives cutting people, who’ve hurt them, out of their lives forever. But forgiveness doesn’t come with intelligence, or how civilized someone is, it comes with strength, confidence and an inner peace, which enables you to let down your guard and show love and forgiveness to people who could potentially break your heart again. I know that there is no way that I could have developed this strength and inner peace on my own, and there certainly hasn't been anyone/thing if my life that has given me the support to develop these new traits other than the work that Zazeh has done with me. Sometimes I am still angered by things that they do, because at the end of the day, I can’t, entirely, change the person they are, but the difference is, now I miraculously have the ability to forgive them immediately after they’ve done something wrong, even without the need for them to apologize or ‘make up’ for it. I simply have the ability to let go, and acknowledge that their actions are based on their own developed issues, which they were unable to fix in their own lifetimes.